We are quickly approaching February so it is a good time to start planning out your garden. Spring will be here before you know it. 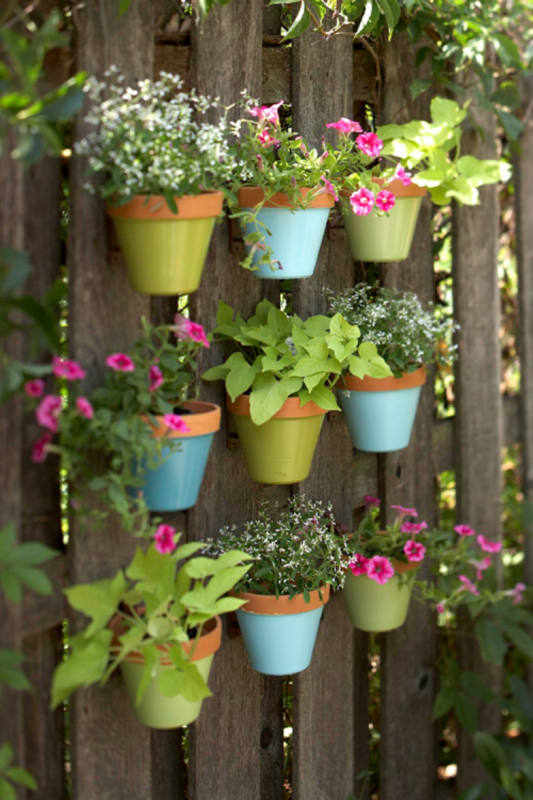 I have seen a lot of talk on vertical gardening and I really like the concept. 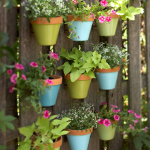 The great thing about vertical gardening is that sometimes we need a little height, but don’t have the space for a tree or shrub. As you walk through the steps below take note that you don’t have to build your vertical garden on your existing fence. 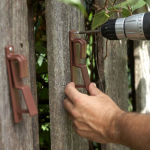 You can bring in lattice or recovered wood to build your backdrop in front of your fence. 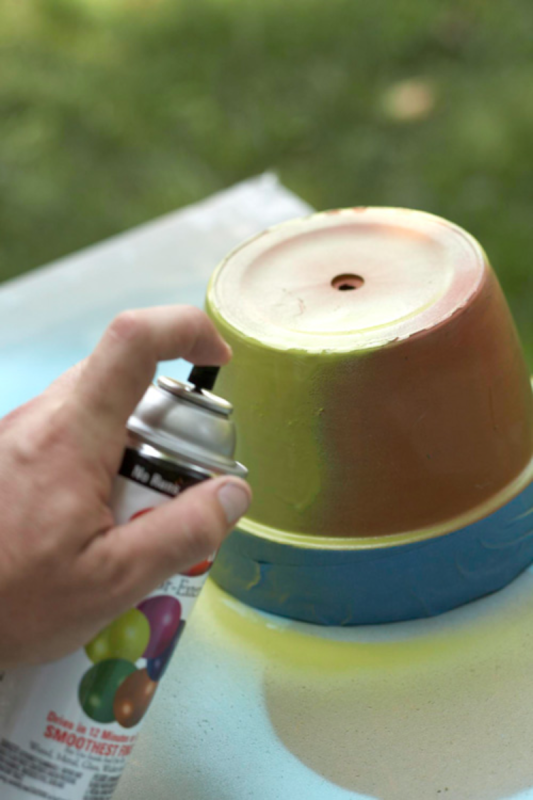 The steps you can take over the next few weekends is painting the pots and getting your flowerpot hangers in place. Once we are in the clear of a freeze you can bring in your Spring plants. This particular example I found on Shelterness. 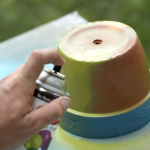 Using painter’s tape, tape off the rim of each pot. Coat with spray paint, following the manufacturer’s directions. Vary the color as desired. 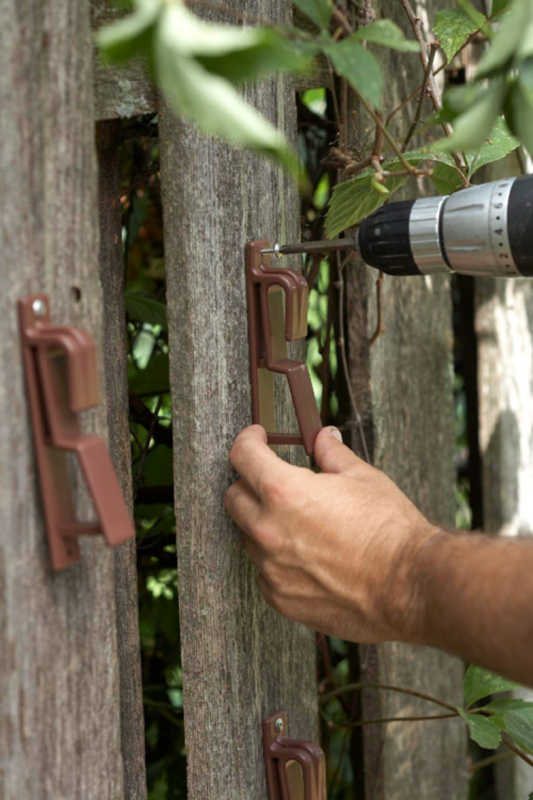 Secure pot hangers to the fence using a drill and wood screws. Put your pots on the hangers and you’re done. Now you just need to choose what to plant in them.